As you are reading this email, I am a short 82 days into what I see as a long and successful tenure with this great chamber and amazing city. I can't believe how quickly time has flown and how much has taken place in the past 2+ months. There have been 13 committee meetings, 5 networking events, 2 retirement parties, a board retreat, a Labor Law Seminar and our annual Installation of Officers. To say that my schedule has been full would be an understatement. Saying that I am loving it, would be a bit of the same. Everyday I wake up and come into the office with a fire, vigor and passion to be a part of these pivotal times in the chamber and lead us into a place of growth and success. 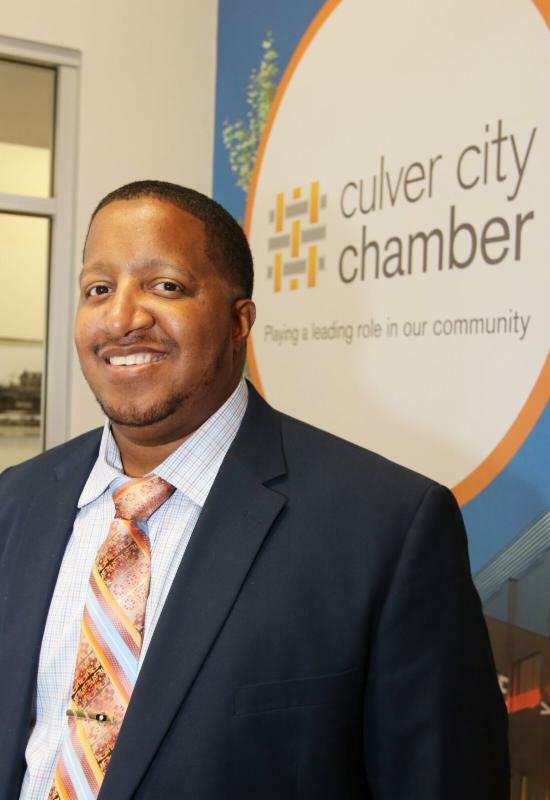 I am honored to be President/CEO of this amazing Chamber and look forward to continuing to make my way through our community to meet each and everyone of you. Thank you for all of the great comments and responses to last month's "Call to Action". If you remember, I asked for everyone to give me feedback on the priorities that you felt the Chamber should focus on for 2018. These priorities, though additional ones may arise at a later date, mark the overall undercurrent of the business community and represent the issues challenging their success. I appreciated hearing these and working with our collective membership, board members, city management, council and additional shareholders to ensure that these priorities are addressed in a timely manner that yield the most positive results and collaboration. 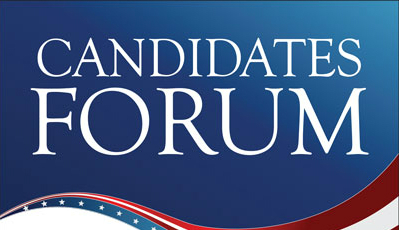 The Culver City Chamber of Commerce will be holding an open Candidates Forum on Friday, February 23, 2018 at 7:30 AM at the Exceptional Children's Foundation - Kayne Eras Center, 5350 Machado Road, Culver City .  As you know, April 10, 2018 is election day and a portion of the City Council, two seats, are up for election. The seats are open due to Mayor Cooper and Councilmember Clarke being termed out. This election has 4 candidates running for the 2 available seats on the five person council. The 2018 Candidates Forum, which will have a debate format, will allow you to listen to the candidates’ answers to important issues facing Culver City in the coming years. Give me the questions and topics that you would like to see the four candidates debate upon. Please click the button below to give your input. All suggestions must be received by Friday, February 16th at 1 PM. Any submissions after that day/time will not be considered. In December, the California Public Utilities Commission released a draft resolution directing SoCalGas to STOP new natural gas service connections for commercial and industrial customers in ALL of Los Angeles County through March 31, 2018. 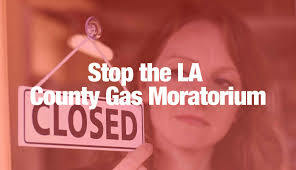 Over 700 businesses in the Los Angeles area will be affected by the Gas Moratorium. The result will mean lost revenue for business owners and lost hours and wages for workers on projects that have already completed rigorous local permitting processes. This includes hospitals, restaurants, schools, and retail stores. This moratorium is not the way to address energy reliability. Southern Californians deserve better public policy than a sudden and unexplained prohibition on the energy they need. For that reason, we will continue to fight this and ensure the moratorium doesn't success. To learn more about the proposed moratorium, click here . If the Chamber we to take another trip to China in October, would you be interested in going?